Coverage of the March for Life! Thanks to all those who came to the 2011 March for Life! It was great to be surrounded by such a huge number of pro-lifers. The above video is worth watching whether you were able to participate or not. I especially like the message at the 5:23 mark. The child in the womb is human, women are strong enough to have their babies, and support is available. (See resources in Ottawa on the right.) The March for Life is an annual event, but that is something that bears repeating every day of the year. 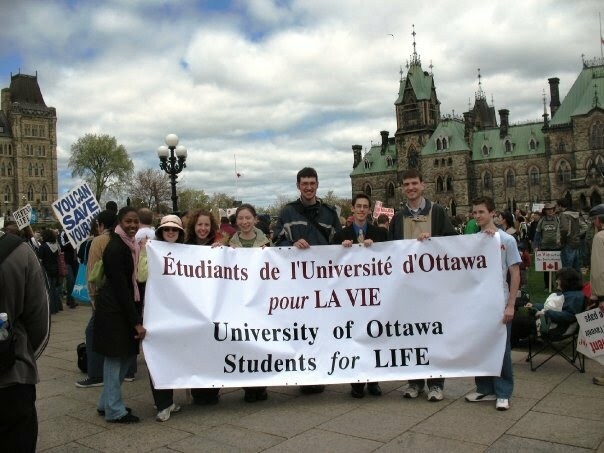 This entry was posted in abortion, activism, support, women and tagged 2011 March for Life, abortion, activism, by Marissa, events, news, Ottawa on May 15, 2011 by uOttawa Students For Life.